We’ve had a blackcurrant and a redcurrant bush in our garden for as long as I can remember. Though none of us have ever really liked these plants, we will never be able to get rid of them – they exemplify summer and annoyingly, endearingly, keep on stubbornly producing blackcurrants and redcurrants in ever greater quantities each July. 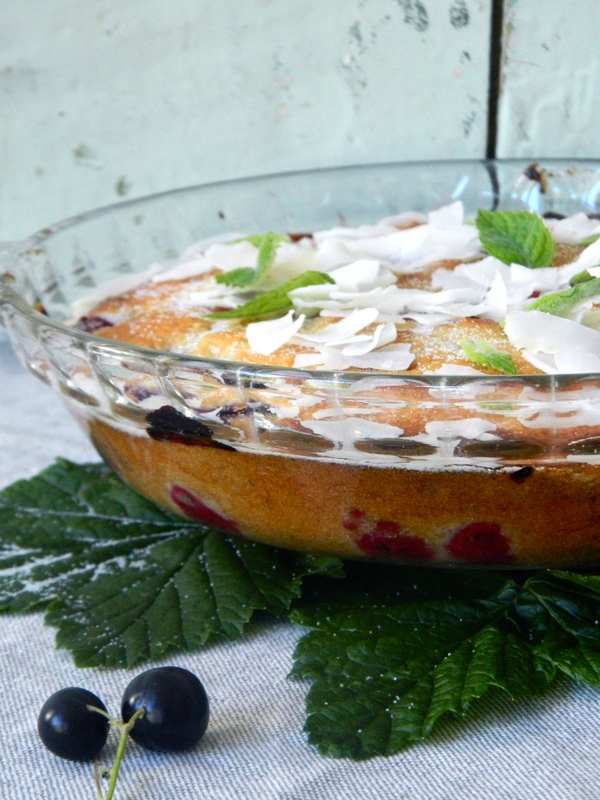 For years my mum used the blackcurrants and redcurrants in an annual once-off dessert – summer pudding. She would dutifully press slices of specially bought white batch bread into a special deep bowl, adding the berries and refrigerating it till it turned fuchsia pink and coldly sour. After a day or two in the fridge, it would be ceremonially turned out onto a plate like a giant pink sandcastle; all of us simultaneously hoping that it would stay intact on the big reveal and that we wouldn’t have to eat too much of it. A few years ago, however, she stopped making the dreaded pudding (it’s okay, she hates it too) and replaced it with a far nicer dessert – Xanthe Clay’s Blackcurrant Cake, which quickly became a family favourite. 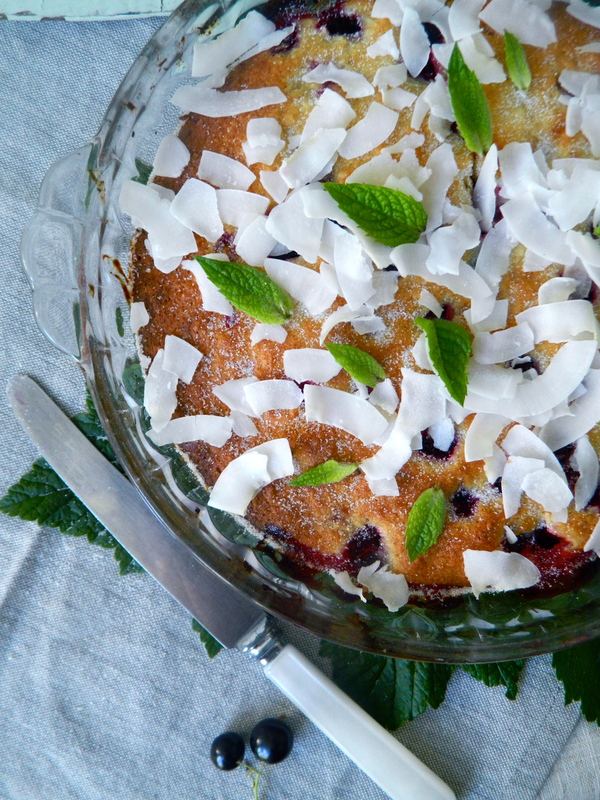 Central to the success of this new blackcurrant dessert was the ingenious addition of a ripe banana and some dried coconut to the original recipe, making the cake suddenly as tropical and summery as it is staunchly traditional and bolstering. 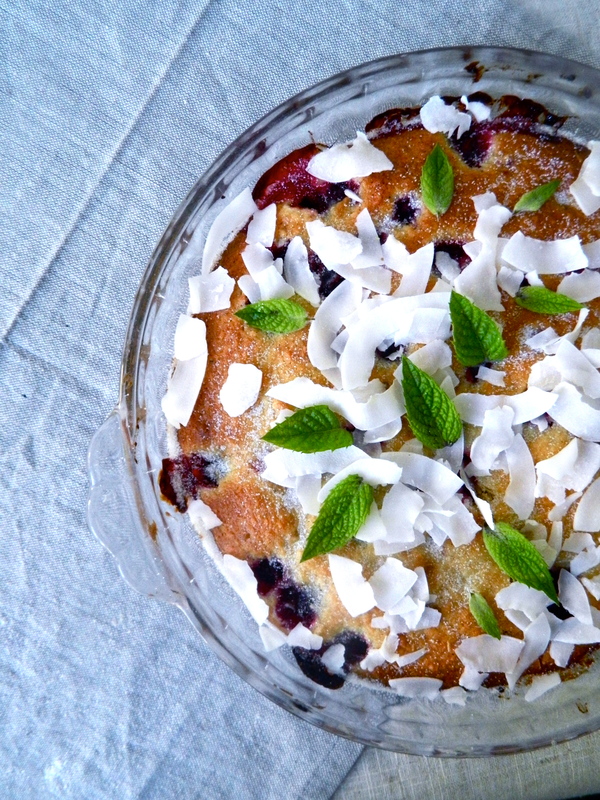 Although generally unloveable, the blackcurrants really do sing in this cake and, against the counterpoint of the banana and coconut, they taste tangy, intriguing and satisfying rather than unbearably, tooth-achingly sharp. It’s also extremely easy to make – it only takes a few minutes’ mixing, it’s hard to ruin and it would work just as well with blueberries or raspberries. Preheat oven to 180 degrees c. Rub the butter into the flour and sugar until it is the consistency of breadcrumbs. 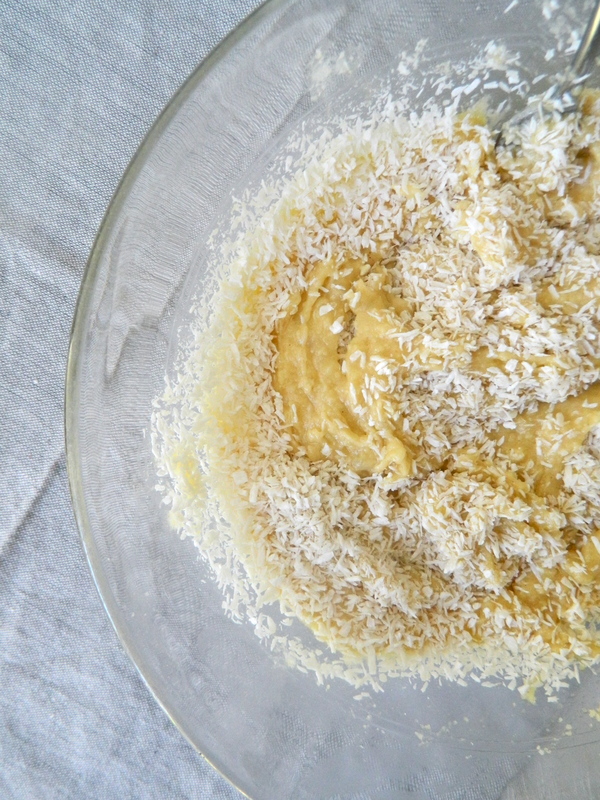 Mix in the mashed banana and coconut and beaten egg, incorporating all thoroughly. 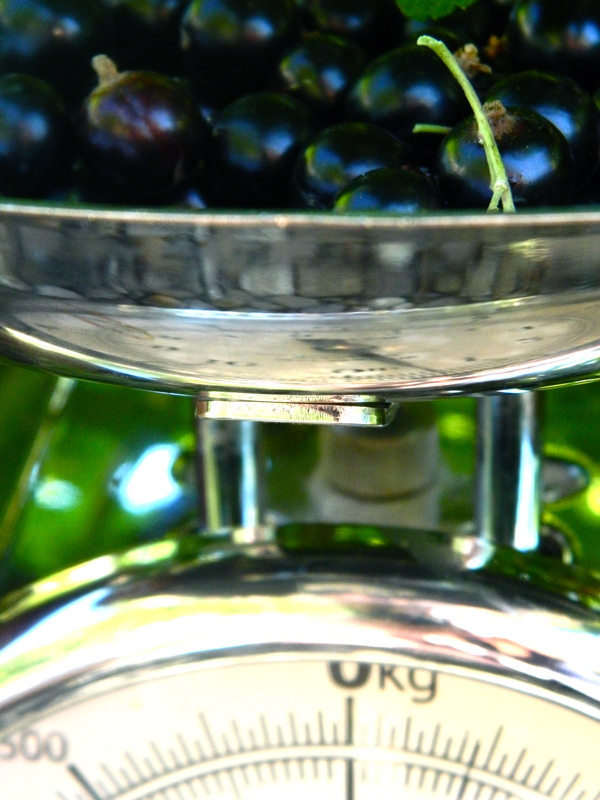 Then gently fold in the blackcurrants so that they don’t break, using your hands if the fruit is very ripe. Spoon the mix into a lightly greased 18cm glass or ceramic dish (not metal – those blackcurrants are acidic little beasts). 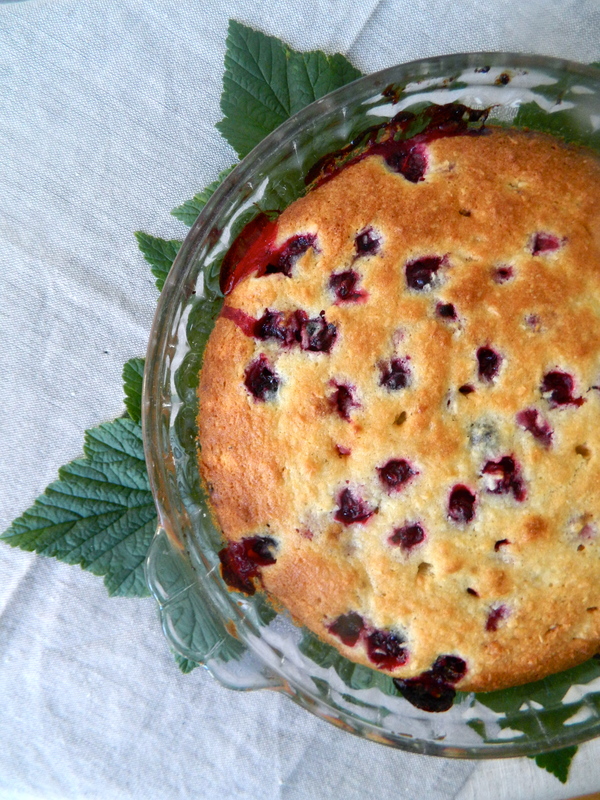 Bake for 45-50 minutes or until a skewer poked into a cakey section (as opposed to a berry) comes out clean. 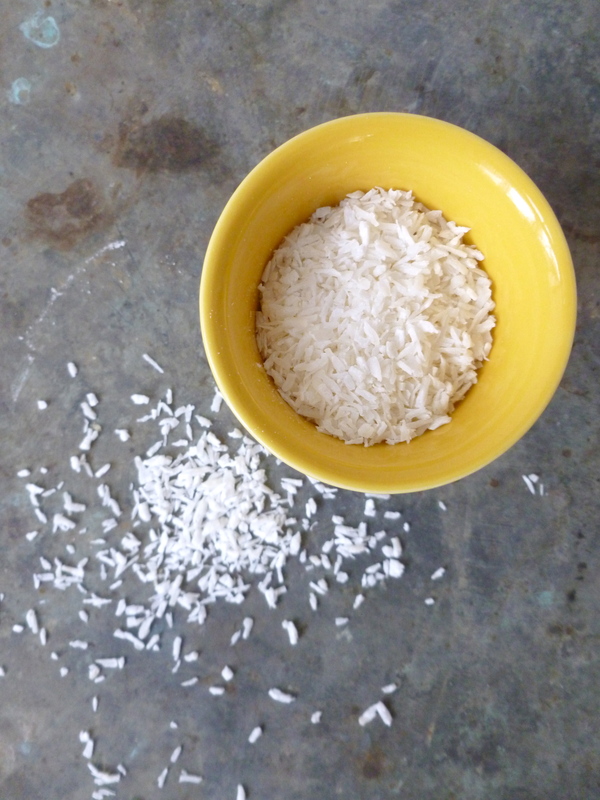 Sprinkle with caster sugar, toasted coconut shards and mint leaves. Serve with lots of whipped or clotted cream. At the turn of the twentieth century it was discovered that the blackcurrant plant, Ribes negrum, was a vector for a disease that affected the white pine tree, which was vital to the booming construction industry. 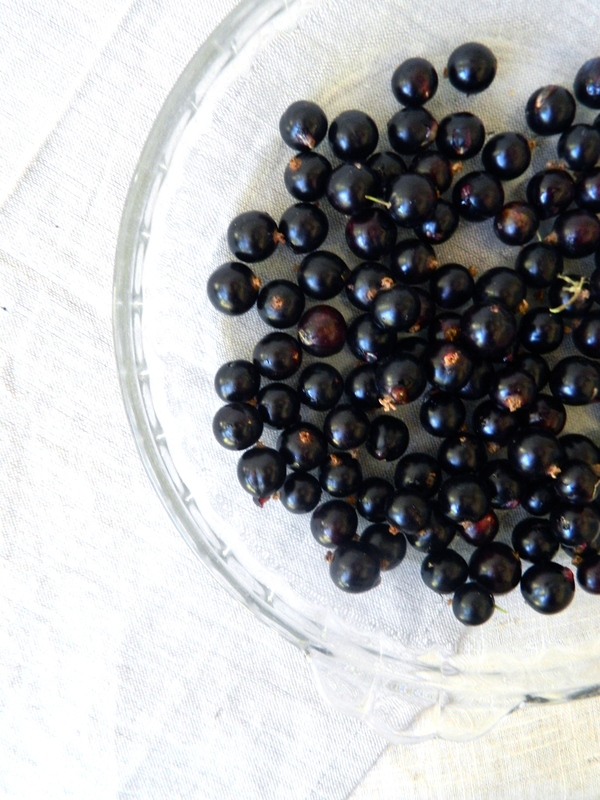 Growing blackcurrants became a crime under federal law, and although enforcement of the ban has since been shifted to state jurisdiction, only a few states have lifted it. So the flavour is much less familiar to the US than the European palate. Where our purple sweets are almost always blackcurrant flavour, American purple candies are grape – specifically Concord grape, derived from a species native to North America. (From The Flavour Thesaurus by Nicki Segnit).